Basic plot from Amazon: Two years after Emperor Augustus’s bloody defeat of Mark Antony and Cleopatra, he triumphantly returns to Rome. To his only child, Julia, he brings an unlikely companion—Selene, the daughter of the conquered Egyptian queen and her lover. Can they survive Rome’s deadly intrigues, or will they be swept away by the perilous currents of the world’s most powerful empire? Why I liked it: Historical fiction is one of my favorite genres and I loved Phyllis T. Smith’s first I Am Livia, a novel told from the point of view of Augustus Caesar’s wife. I liked it so much that I even gave a copy to my mom, the highest form of literary compliment in my world. 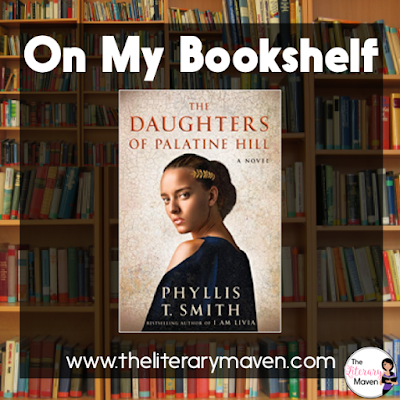 So imagine my delight when I started reading The Daughters of Palatine Hill and discovered that not only was it also written by Phyllis T. Smith, but it picked up Livia’s story line not long after I Am Livia left off. However, instead of just focusing on Livia, the novel alternates between her, Julia (Augustus Caesar’s daughter from his first marriage), and Selene (the daughter of Cleopatra and Marc Antony). All three women are well developed and relatable. Livia continues to guide her husband, known as Tavius by his family and friends, in both his personal and political decisions. She is constantly trying to balance what was best for her family members versus what is best for Rome. Julia finds happiness in her first marriage, but after her husband’s death she does not find the same happiness in her second or third marriage and begins to look for love in other places. While others disapprove of Julia’s promiscuity, she ignores their judgment and is tired of being used a pawn in her father’s political maneuverings. Selene pledges her loyalty to Livia when she helps her wed the man she loves and with whom she is expecting a child. This bond pays off later when Selene informs Livia of a plot to overthrow Tavius. Like Livia’s desire for peace in Rome, Selene’s desire for her family’s safety takes precedence over her relationship with her half brother. Classroom application: This novel would be perfect for reading with or after Shakespeare’s Julius Caesar and doing a comparison of men and women’s roles in Roman society. 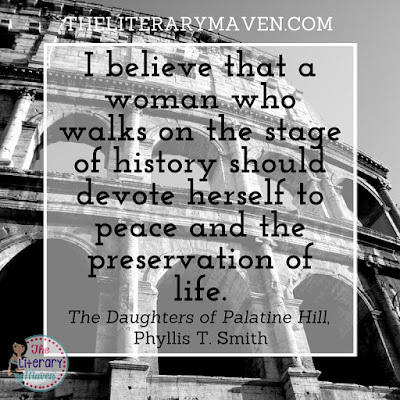 If you are interested in purchasing a copy of The Daughters of Palatine Hill for yourself, you can find it on Amazon here.